The theme this time will be ‘Tudor Tales’. 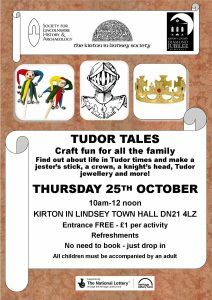 The chance to make a jester’s stick; model a knight’s head in clay; decorate a crown and/or create some Tudor style jewellery. You can also find out fascinating facts about the Tudors along the way. No need to book – just drop in. Children must be accompanied. 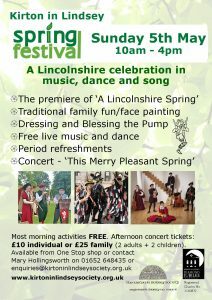 Admission FREE but £1 charge for each item made to cover costs. Error: Error validating access token: Session has expired on Saturday, 23-Mar-19 02:32:21 PDT. The current time is Thursday, 25-Apr-19 18:52:01 PDT.